In the last issue of Drinks World, we followed the journey of Giritharan ‘Giri’ Panchakaran, Malaysian winner of the Asian finals of the 2017 Opihr World Adventure Cocktail Competition. 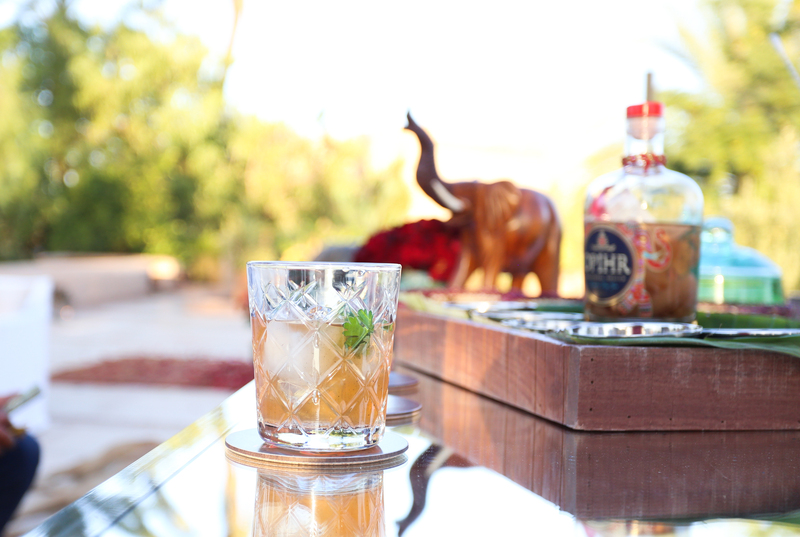 Giri won over the panel of three judges with his cracking cocktail ‘The Traveller’, sending him over to the global finals held in Marrakesh, Morocco. The ginger-infused, peppery concoction spiced with hints of cardamom captured the essence the ancient ‘Spice Trail’ at the heart of Opihr’s genesis, making Giri a popular favourite for the finals. The competition in Marrakesh set off with 10 contestants descending on the world-famous Medina, where they were able to source their own organic spices and herbs to use in their serves. The exotic location, bursting with rich aromatics, provided the perfect backdrop to inspire the creations that would be tasted that evening. Although the judges praised every contestant on their ability to uniquely reflect the flavour profile of Opihr Gin in their cocktails, it was Aaron Pollack from The Dawson in Chicago, USA that produced the most impressive drink of the night. ‘Joy Comes in the Morning’, was inspired by Pollack’s favourite music and his partner, Kerrie, resulting in a dry and fragrant spin on the classic Opihr serve. Shaken with Moroccan red wine, pomegranate and rosewater shrub, the stunning drink scored Pollack the winning title as well as a mystery trip somewhere along the Spice Trail. Congratulations to Giri for making it all the way to the finals and to Aaron on his victory. Cesar Perez II – U.S.